The Honeywell HCM-350 remains Wirecutter's top pick. 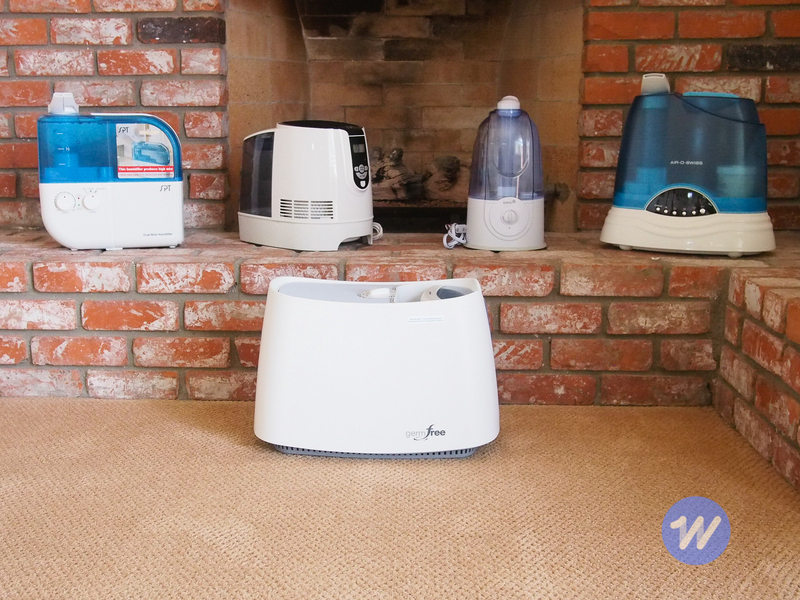 After more than 100 hours of research (including 80-plus hours of lab testing) over the past four years, the Honeywell HCM-350 Germ Free Cool Mist Humidifier remains our pick as the best humidifier for most people. It's quiet, leakproof, effective, and energy-efficient, and it's the easiest model to fill and clean we've ever found. If you are bothered by any of the symptoms caused by dry air, such as dry sinuses, nosebleeds, cracked and sore lips, or shocks from static electricity, the air in your home is likely too dry. But humidifiers require regular maintenance, including a thorough cleaning every one to three days. Because a dirty humidifier causes more harm than good, be honest with yourself: are you ready to be a "humidifier parent"? We considered three basic types of humidifiers: ultrasonic, evaporative, and "air-washing." 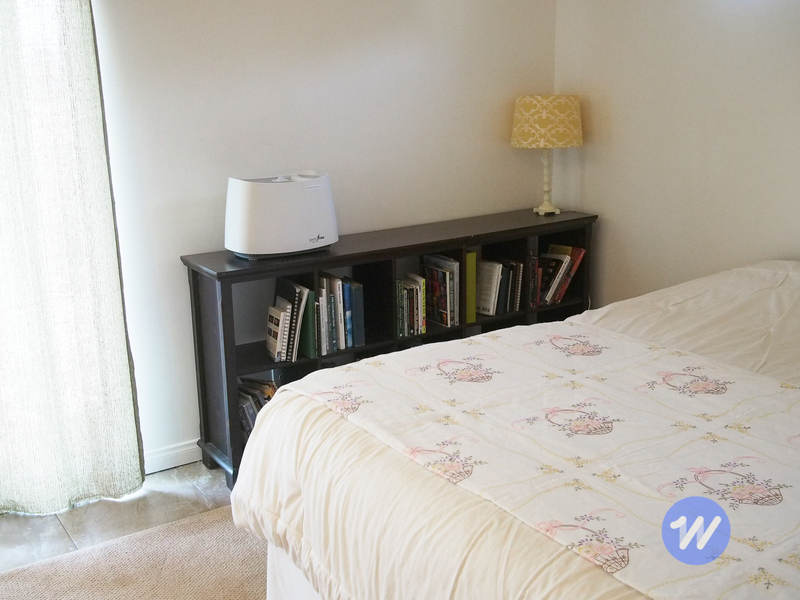 Ultrasonic humidifiers use a vibrating diaphragm to generate vapor. They work quickly and quietly, but because they produce vapor, they can overhumidify a room and potentially leave behind a thin layer of mineral dust. 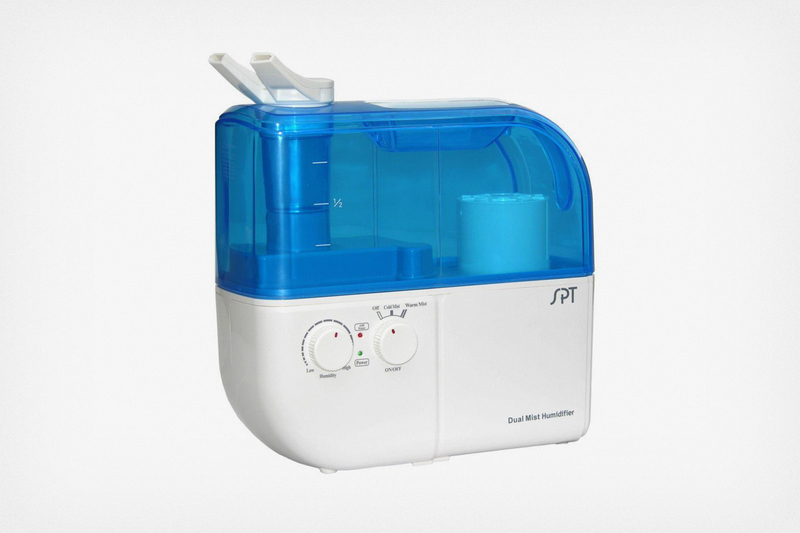 Evaporative humidifiers use the natural process of evaporation by passing dry air over a wet wicking filter. They're a bit louder and slower than ultrasonics, but they're also cleaner and physically incapable of overhumidifying a room. "Air-washing" humidifiers are a more expensive, quieter variation of evaporative humidifiers that replace the wick with a stack of slowly rotating discs. In theory, they trap particles in the water and clean the air, though our tests found this feature isn't particularly effective. After deciding on a list of humidifiers to test, we tested each model in John Holecek's 160-square-foot office in Southern California. For each machine, we considered five factors: noise, maximum humidification achievable, ability to hold a fixed humidity level, daily water consumption, and cost over time. For air washers, we also measured their actual ability to remove particles from the air. 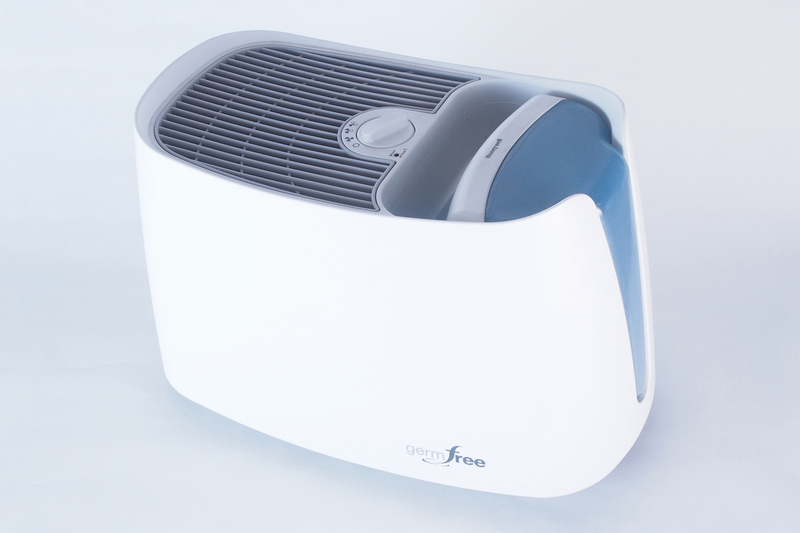 Please see our full guide to humidifiers for a detailed breakdown of our testing methodology. 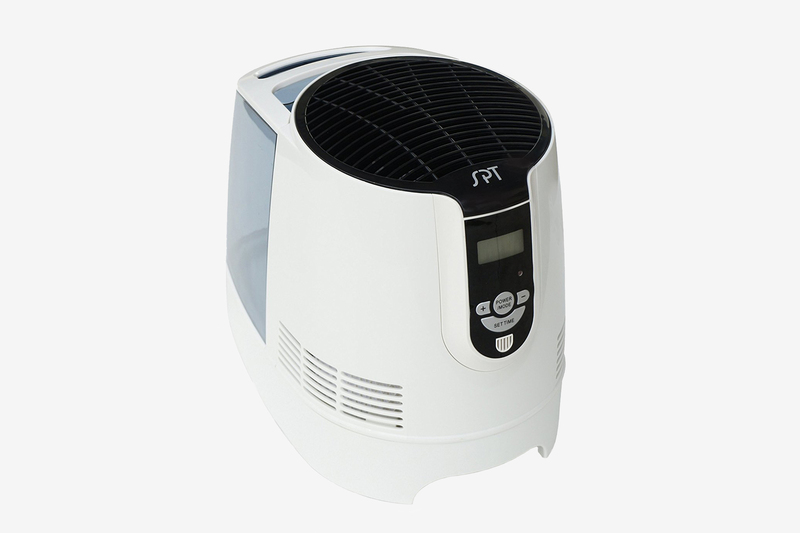 The Honeywell HCM-350 Germ Free Cool Mist Humidifier is an evaporative humidifier that consistently performed well across all categories we tested. Though it didn't top the charts, it was a solid performer, raising the relative humidity of John's office by 14 percentage points over the course of three hours. It uses about 1.9 gallons of water per day on high, so you'll need to fill the one-gallon tank twice per day to run it continuously. More important, it was by far the easiest to clean and fill of the models we tested. Including purchase price, cost of new filters, and electricity, the Honeywell will set you back about $300 over the course of its three-year expected service life (assuming you're running it 24 hours a day, but only in the wintertime). That puts it right in the middle of the pack. 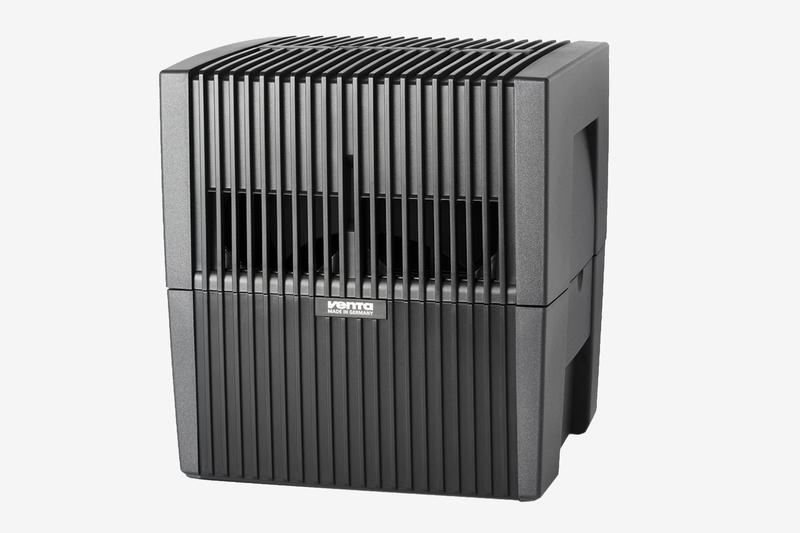 If the Honeywell is out of stock, the Sunpentown SU-9210 Digital Evaporative Humidifier is another evaporative humidifier we liked in testing, but it's not nearly as easy to clean. In our tests, it increased relative humidity by 19.75 percent (compared with the Honeywell's 14 percent—though the Honeywell started at a higher humidity). The SU-9210's total estimated operating cost of about $200 over a three-year period also makes it cheaper than the Honeywell. The Sunpentown SU-4010 Dual Mist Humidifier with ION Exchange Filter was our previous runner-up pick, and is still a solid and economical performer. If you have a larger room (bigger than, say, 400 square feet) and value moisture over ease of maintenance, this is your best bet. Just be careful not to overhumidify your space on high settings. The Sunpentown is super-quiet, even for an ultrasonic humidifier, and has an ion-exchange water filter (a filter that draws the calcium and magnesium ions in your water in and then replaces them with sodium ions) to help keep microbial growth and mineral dust to a minimum. However, it's not as easy to clean as we'd like, and we noticed mildew tends to build up along several of the sharp angles inside. The Venta Airwasher LW25 is worthy of its high price tag only if you are willing to pay a lot more money up front for lower power consumption and less-frequent refills and cleanings. Though your typical humidifier should be cleaned about every third day, Venta recommends cleaning only every 10 to 14 days and relies on a proprietary chemical mixture to keep funk down between cleanings. These chemicals cost about $40 per year, which when combined with the high sticker price make the Venta the second most expensive option we considered—$425 over three years. The Venta works by drawing air over a set of slowly rotating discs. It's incredibly efficient, requiring just 0.2 gallons of water per day to achieve the same amount of humidification as the other midsize units we tested (an 18 percent increase over three hours). However, the Venta still requires that you top it off every day to maintain maximum humidifying efficiency—it works best when full.